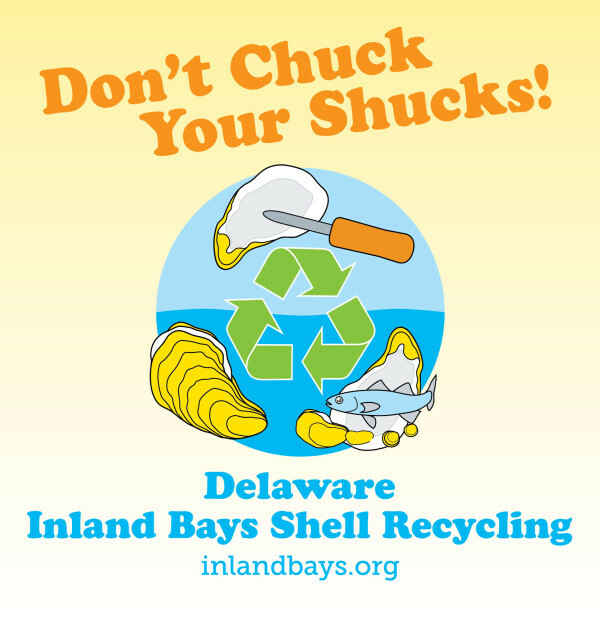 Indian River Inlet: The Delaware Center for the Inland Bays (CIB) was awarded a grant for $23,450 from the Department of Natural Resources and Environmental Control’s (DNREC) Universal Recycling Grant and Loan Program to launch “Don’t Chuck Your Shucks,” a program to recycle oyster shell for restoration projects on the Inland Bays. In addition to DNREC, Brian Boutin, Director of Conservation Programs for the Delaware Chapter of the Nature Conservancy (TNC) has pledged their support to contribute funds and other resources to the project. For years, oyster shell has been used to build roads, driveways and houses, with unused shell going to landfills. But today, the shells are an increasingly scarce natural resource sought after for shellfish restoration. The recycled shell will be used for living shorelines projects, restoration of ‘bay bottom,’ the Oyster Gardening program, and research projects. Beginning in June, the CIB will partner with area restaurants to collect oyster shells for recycling; modeled on successful programs in other east coast states, but a first for Delaware. The shells will be picked up and transported to bins where they will be unloaded and left to cure. “During the peak summer season, we hope to recycle 10 thousand pounds of shell per week; putting what had gone to a landfill to good use,” said E.J. Chalabala, Aquatic Restoration Coordinator for the CIB. The Inland Bays once supported an abundant population of oysters that was lost decades ago due to disease and pollution. But over the past eleven years, the Oyster Gardening program, a joint project of the CIB and Delaware Sea Grant, has demonstrated that oysters will now thrive in all three Inland Bays.